Acie James DORITY was the oldest of two children born to Wylie J. DORITY (1862-1931) and Mary R. MARTIN DORITY (1888-1967). Mary was the sister of my grandfather, Joel Daniel MARTIN, which makes Acie my 1st cousin, once removed. 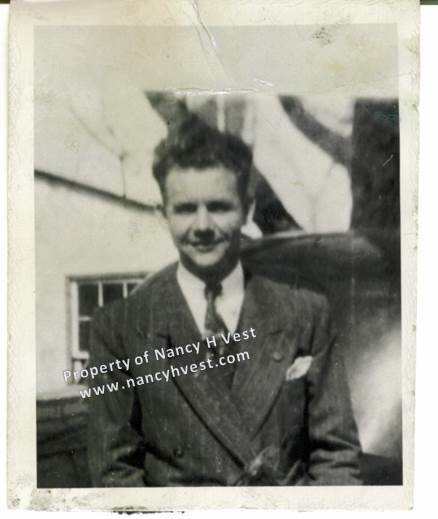 Wylie was a textile worker That’s likely how he and Mary met since some of Mary’s family were textile workers. Mary may have been, too. I’m not sure when Wylie and Mary married, but it was after 1912 since Wylie’s first wife, Minnie, passed away in 1912. Wylie and Minnie had at least 5 children together, the last being born in 1900. Did Mary have a hand in raising the youngest of Wylie and Minnie’s children? Perhaps. Acie was born 20 August 1920 in Richland County, South Carolina. Acie’s sister, Minnie Mae, was born in 1925 in South Carolina. Acie completed 7th grade before going to work. Wylie died in 1931 at 69 years of age. His death certificate says the family lived in DeKalb, Kershaw County, South Carolina. It also says he was a textile worker. Also living in DeKalb at that time were Mary’s sisters, Florrie, Stella, and Maggie; Mary’s brother, Gary; and Mary’s mother, Lizzie. Florrie was the head of that household; Stella, Maggie, Gary, and Lizzie were living with her. All those of working age were textile workers. 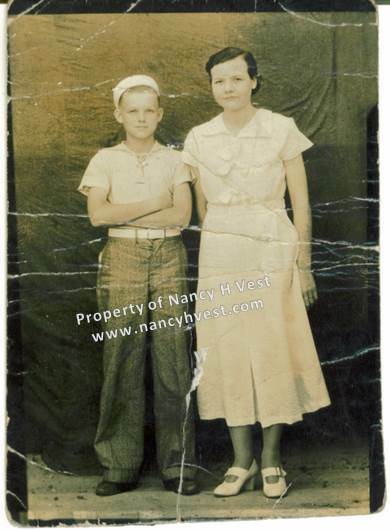 Acie and his Aunt Stella, circa 1932. Acie about 12. Stella about 25. 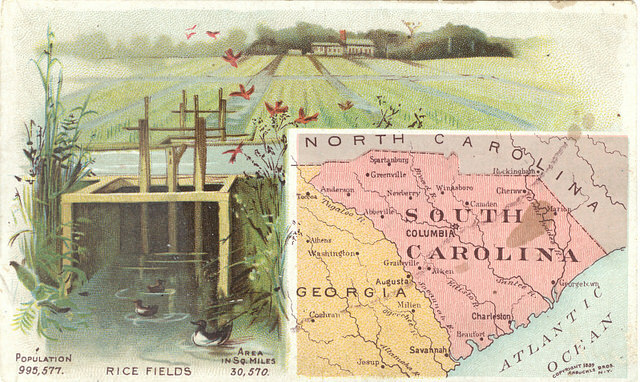 In 1935, 15-year old Acie and 26-year old Gary were living in Columbia, Richland County, South Carolina. Stella, age 29, was living in Camden, Kershaw County, South Carolina. Stella married Lewis SMITH around 1938, and they moved to Savage, Howard County, Maryland. In the Depression, you went where the work was. In 1940, Stella and Lewis were still in Savage. They had a baby daughter named Doris. Acie and Gary were living with them, too, and all the men of the household worked in a cotton mill. Acie and Gary were close like brothers even though Gary was Acie’s uncle. They were only about 11 years apart in age and had grown up together in South Carolina. Acie’s mother and sister moved to Maryland at some point, too, but I don’t know when. The war came, and in February 1942, 33-year old Gary enlisted in the Army for the duration of the war. In September 1942, 22-year old Acie enlisted in the Army, also for the duration. 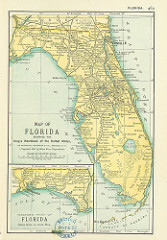 Gary was stationed in Florida when he met Ina Claire McCALL. They were married in 1943, and the couple stayed in Florida when Gary was discharged from the Army in 1944. Acie was honorably discharged in November 1943. He saw no action and didn’t leave the states while serving. He came back to Maryland and likely went back to textile work. Acie took advantage of his GI Bill benefits and started school in Baltimore after the war. In 1949, Acie took a leave of absence from school and went to stay for a while with Gary and Ina, and their young children. Gary and Ina lived at the Hillsboro Canal in Deerfield Beach where they opened and closed the gates to let water in and out for farming and other reasons. On Wednesday, November 2, 1949, Acie spoke to Ina briefly before going out for a walk. Ina watched as he headed across the walkway over the canal. She was watching when he fell into the water. Acie’s death was ruled a heart attack and not a drowning. My mother, first cousin to Acie, always said he had a bad heart. I wonder now if it was because he died at 29 from a heart attack or if it was already known that he had a bad heart. I’ve only heard good things about Acie. He was a kind person, people said. He was musically inclined and could play any instrument even if he had just picked it up. When he stayed with Gary and Ina, he loved playing with the kids; and it seemed that Gary and Ina’s daughter, Gayle, took a special liking to Acie and would sit in his lap all the time. Acie didn’t mind one bit. Nancy, thanks for the article about Acie…I remember that story from early childhood. My mom, one of Gary’s daughters was very moved by the incident and it must have been traumatic for my grandmother and grandfather. Martha, I’m sure it was traumatic for your grandparents, especially Uncle Gary since he loved Acie like a brother. It was a conversation I had with your Gayle on Friday that prompted me to write the story. I knew Acie had died in Florida, but I didn’t know the circumstances of his death until Gayle told me.